Chelsea will face Burnley for the second time in two years when the Clarets visit Stamford Bridge on Saturday. The last time the two sides met was last year in the Carling Cup at Stamford Bridge. That meeting saw Burnley oust the Blues from the Cup on penalties. This meeting should produce a different result for the Blues, though both teams will enter the match on a good run of form and the Clarets squad is largely the same squad that was victorious last November at the Bridge. Burnley visit the Bridge on their own run of good form, having recorded two victories over Manchester United and Everton in their first three matches. However, their one loss was away to Stoke City at the Britannia Stadium. The Clarets will be missing defender Richard Eckersley, who was sent off against Hartlepool in the League Cup midweek, and defender Michael Duff. They will also be without their captain, Steven Caldwell, who remains injured for the third game running. Owen Coyle is likely to name an unchanged side and will come to the Bridge with the same team that has recorded the last two wins. 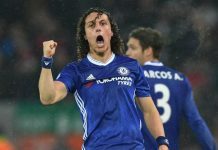 For Chelsea, the season couldn’t have started much brighter, having recorded three wins to start the season under Carlo Ancelotti. 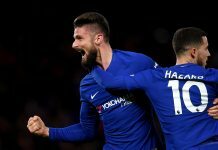 Dating back to last season, the Blues have been unbeaten in their last 10 matches, tying a club record that was set by the 2005/2006 team under Jose Mourinho. Chelsea’s squad have no suspensions, but will most likely be missing the services of Alex, Joe Cole, Paulo Ferreira, Juliano Belletti, and Yuri Zhirkov due to injury. The squad for Chelsea is harder to predict because Ancelotti has picked 3 different midfield combinations in the last three matches. The referee for the match will be Mark Clattenberg who has issued 7 yellow cards and no red cards in two previous matches. This meeting could be a tricky one for Chelsea as the Clarets are flying high from their two massive victories. It should be noted that both wins were at Turf Moor. Burnley have played some good quality football of late. The dangerman for Burnley is Robbie Blake, their lead striker. He’s played very well in their two wins, but it should be noted that neither Everton nor United played either of their first choice center backs (Rio and Vidic were both injured, so was Jagielka, and Lescott was dropped before his transfer). In fact, I think that the duo of Terry and Carvalho will represent the two most accomplished center halves that Burnley have seen this season. I don’t think that the tinkering that Ancelotti has done lately will affect the team at all. The interesting part about Ancelotti’s current tactics is the unpredictability of the side. There seemingly are no set positions in the midfield, using the theory that great players can play position. That makes the midfield hard to pin down. Drogba looks like he’s back to his best and on that form, he might be the best striker in the world. It will be key for Drogba and Anelka to finish the few clear chances that they get, because Burnley have shown a very organized defense. One other note, part of the reason that I feel Burnley were able to win their last two matches was because they netted an early goal and both Everton and United lacked the creative player to unlock their defense. I feel we may have that same problem if we concede early, but I also feel that we’re diligent enough to finish enough chances for a win. I’m predicting that it will be a tight, cagey affair, but we will win 2-0. However, it could also be 5-0 depending on the circumstances. We’ve created a host of chances in the first three matches, but haven’t been terribly clinical in front of goal. If we start taking them, someone is going to be on the end of a beating, and it could very well be Burnley on Saturday.